Start your Sun City West Windshield Replacement Quote or Claim Today! 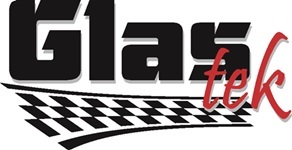 Glas Tek is a proud Sun City West windshield replacement and auto glass repair mobile service provider. We offer windshield replacement prices online, $50 CASH BACK insurance claims, free rock chip repairs, 10% rewards, military & senior discounts, and free mobile to Sun City West homes and businesses. We are approved by all insurance carries including Hartford, Allstate, Geico, USAA, Farmers, State Farm, and Nationwide. 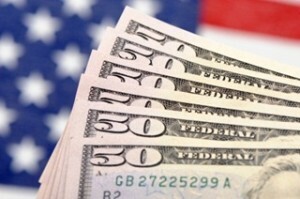 We honor all insurance contract pricing so there will never be any out-of-pocket expenses. In fact, insurance companies back our nationwide lifetime warranty. Glas Tek works closely with all insurance companies so that you can have a peace of mind that you have chosen the right Sun City West windshield replacement shop. Sun City West is an exciting and very friendly community for seniors who would like to be as active as possible. The community features a number of different activities that can be pursued, with lots clubs and classes to get seniors started on their new game, sport or skill. There is much to do and individuals can enjoy high quality living. The biggest concentration of year round recreational facilities in the US can be found in Sun City West and Sun City. This self-contained retirement community has world-class recreational facilities, health care facilities, a pet park and quite a few shopping centers. Additionally, there is an extravagant 30-lane bowling alley are 9 luxury golf courses. If you reside anywhere in the valley or in Sun City West, Glas Tek will come to you to repair your chipped, cracked or broken windshield. For safety reasons, driving with a cracked windshield should not be done. If a crack is left unattended, it will expand over time and cause major damage. You could also get a hefty ticket for doing so. Glas Tek offers low prices on Sun City West windshield replacement and auto glass repair. Visit our webquoter to obtain a free Sun City West windshield replacement cost online. Ask about our military and senior discounts too! We will come to your Sun City West home or business and replace the auto glass onsite in a garage, carport, or on street. Shaded areas are appreciated but not required. Auto glass replacements take approximately one hour to replace then you will be ready to go soon afterwards. Filing a Sun City West Windshield Replacement Insurance Claim? insurance claim here. Or, if you would like to learn more information about insurance claims you can visit our auto glass repair insurance program page. This page will answer all your questions or concerns before filing the claim to make the process more comfortable. If you would rather speak to one of our Sun City West windshield replacement specialists they would be happy to walk you through the claim process. We are approved by all insurance companies and honor all contract pricing so that there will never be any out of pocket expenses. 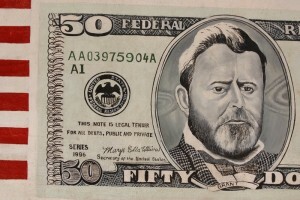 Plus, if you carry full auto glass coverage on your policy we will bring you $50 CASH on the spot. It’s that easy! We work with all major insurance companies including; Allied, Alliance, GMAC, Austin Mutual, Liberty Mutual, Safe Auto, Safeco, Encompass and American Family. The entire auto glass replacement claim process takes about 15 minutes of your time. Call us now, and we can get a professional auto glass replacement technician out to your Sun City West residence or place of work today! Glas Tek prides itself on the great value and superb customer service we offer. All our customers are served with top-notch services every day of the week and never charge for coming to you in Sun City West or anywhere else in the Phoenix market. Our technicians are highly skilled and have years of experience replacing glass and repairing windshields. Glas Tek places priority on safety; therefore, they can be counted on to safely and effectively carry out their duties. Please give us a call at 602-334-1964 and make an appointment to speak with one of our knowledgeable and friendly representatives. They are willing and ready to answer any question you might have. Sun City West is a very friendly and exciting community for seniors that have the opportunity to be as active as they want to be. Featuring ample activities they can pursue with many classes and clubs to help get them started on there new sport, game, or skill. Sun City West is filled with substantial amount to do with those who have much ambition and enjoy a high quality of life. Sun City and Sun City West have the largest concentration of year round recreation facilities in the entire United States. 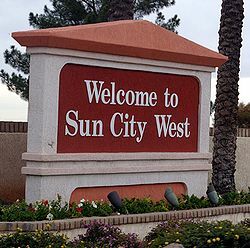 There will never be a Sun City like Sun City West they are a very self contained retirement community full of top-notch health care facilities, recreational facilities, ample shopping centers and even have their own pet park. Sun City West also has nine luxury golf courses and their own extravagant 30 lane bowling alley.